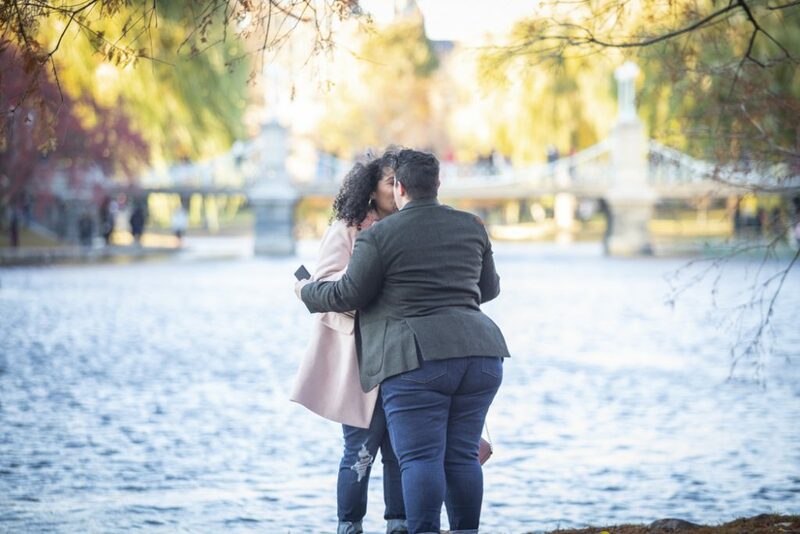 One of the most heart-warming Boston Public Gardens engagement proposals we captured was with Jessica and Raquel. Jessica arranged for us to set up a blanket with champagne and two glasses for their arrival. Raquel had no idea the surprises to come. What are you waiting for? 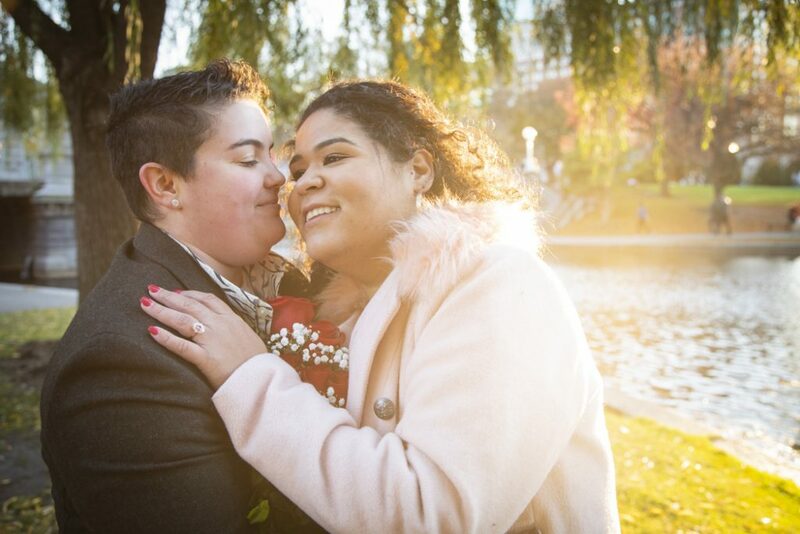 Start planning your big moment today. Give us a call now at 1 (888) 287-5120 for a free consultation. Found the one and bought the ring? Now, capture the moment! 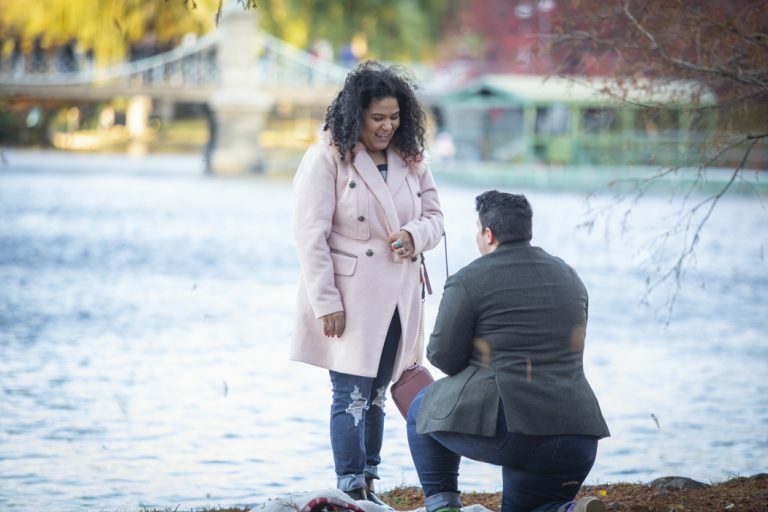 When her girlfriend least expected, Jessica got down on one knee! 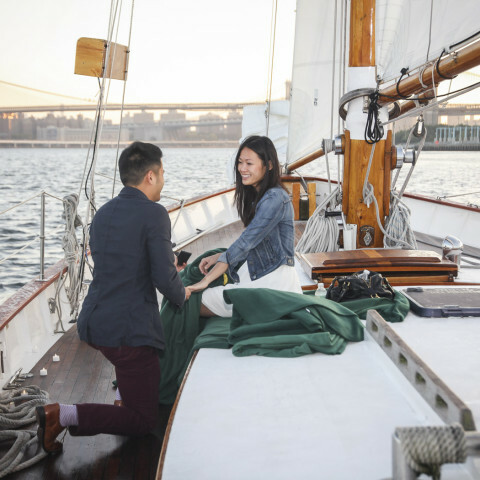 To melt our hearts even more, the couple shared with us their romantic love story and how they ended up together. 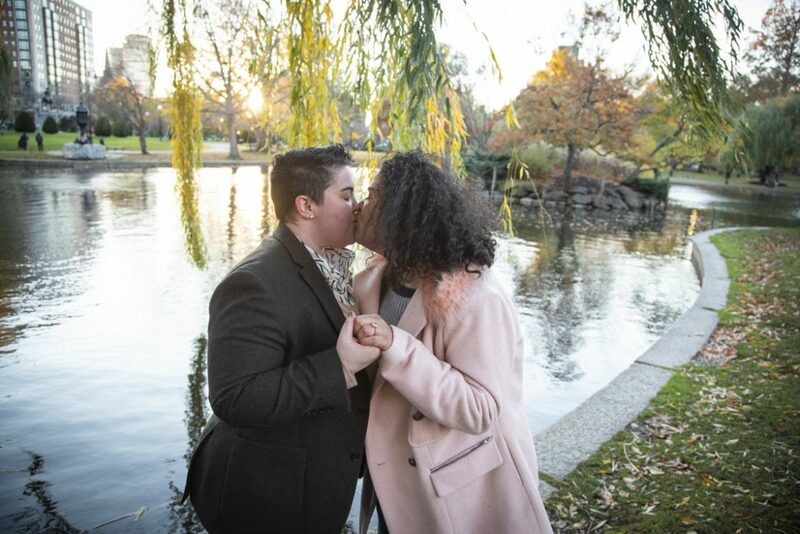 “We met a little over two years ago when we matched on Tinder. Swiping right was the best decision I could have made. I was attracted to Raquel immediately because she had an addictive smile and gorgeous curly locks. I knew she was the one before we ever met in person. I can still remember the day that we started talking on Tinder, switched to texting and then talked on the phone for hours. I couldn’t believe how connected I felt so quickly. When we had our first date we were like magnets that could not be separated. I fall in love with her over and over for all the amazing little things she does and our love simply grows deeper. One thing we always talked about was the desire we both had to visit Boston and what a beautiful place it was. 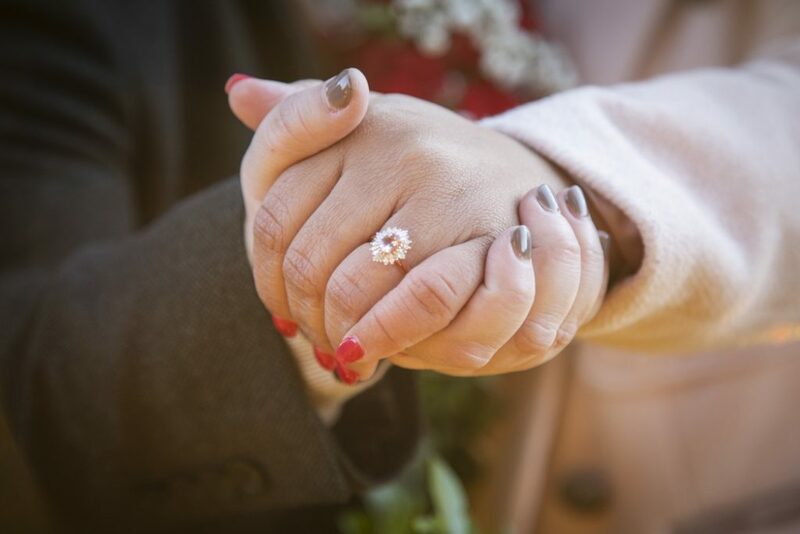 I knew that it would be the perfect setting to make several of our dreams come true: amazing vacation, romantic anniversary and beautiful backdrop for a new chapter in our life. 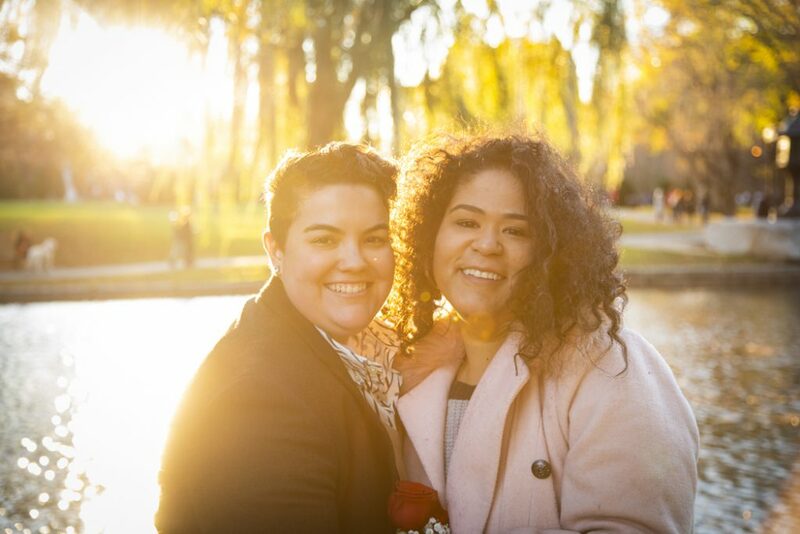 I had some help running ideas about the proposal by her sister and best friends. They also helped me organize a surprise engagement party when we returned back home. 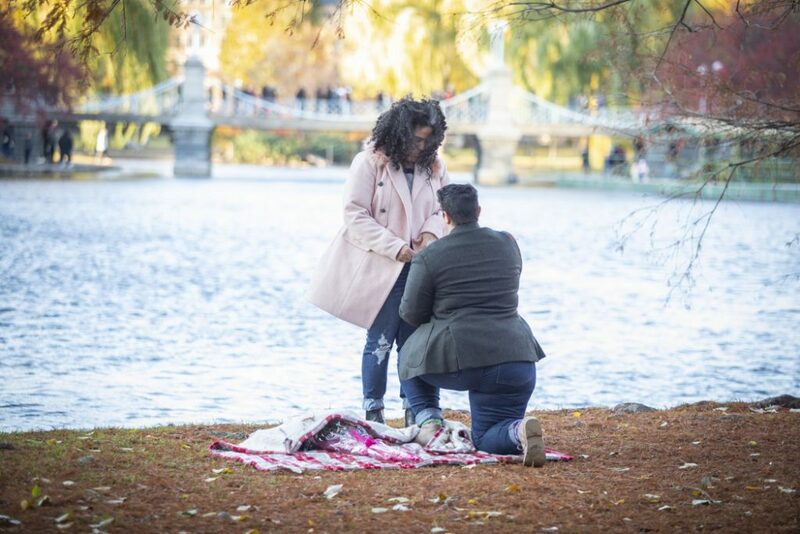 Everything was amazing, especially the help from Paparazzi Proposals to set up at the Boston Public Gardens. It was perfect.